Cataract, one of the leading causes of blindness worldwide, is a condition in which complete or partial opacity develops in the lens of the eyes, thereby impairing vision. This study aimed to examine the potential therapeutic and protective effects of poorly soluble polyphenols like curcumin, resveratrol, and dibenzoylmethane, known to possess significant antioxidant activity. The polyphenols were loaded into novel lipid-cyclodextrin-based nanoparticles and characterized by particle size, polydispersity index, differential scanning calorimetry, thermogravimetric analysis, X-ray diffraction, scanning electron microscopy (SEM), entrapment efficiency, and release studies. Ferric-reducing ability of plasma and 2,2-diphenyl-1-picrylhydrazyl chemical assays were used to evaluate their antioxidant properties based on their free radical quenching ability. Biochemical in vitro assays were used to examine these polyphenols on hydrogen peroxide-induced formation of cataracts in bovine lenses by estimating total glutathione content and superoxide dismutase activity. Nanoparticles were thermostable and amorphous. Particle size of curcumin, resveratrol, and dibenzoylmethane nanoparticles were 331.0 ± 17.9 nm, 329.9 ± 1.9 nm, and 163.8 ± 3.2 nm, respectively. SEM confirmed porous morphology and XRD confirmed physical stability. Entrapment efficiency for curcumin-, resveratrol-, and dibenzoylmethane-loaded nanoparticles was calculated to be 84.4 ± 2.4%, 72.2 ± 1.5%, and 86.4 ± 0.6%, respectively. In vitro release studies showed an initial burst release followed by a continuous release of polyphenols from nanoparticles. Chemical assays confirmed the polyphenols’ antioxidant activity. 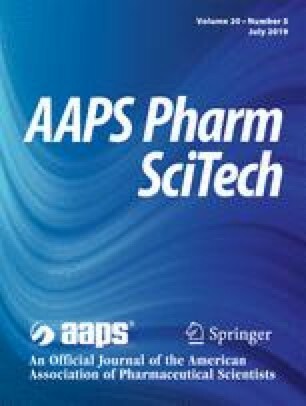 Superoxide dismutase and glutathione levels were found to be significantly increased (p < 0.05) after treatment with polyphenol-loaded nanoparticles than pure polyphenols; thus, an improved antioxidant activity translational into potential anticataract activity of the polyphenols when loaded into nanoparticles was observed as compared to pure polyphenols. The author wishes to acknowledge Creighton University, Omaha, for funding and the use of instruments in completing this project. Pubchem.ncbi.nlm.nih.gov. (2018). [online] Available at: https://pubchem.ncbi.nlm.nih.gov/compound/curcumin#section=Top. Accessed 22 Jun. 2018.